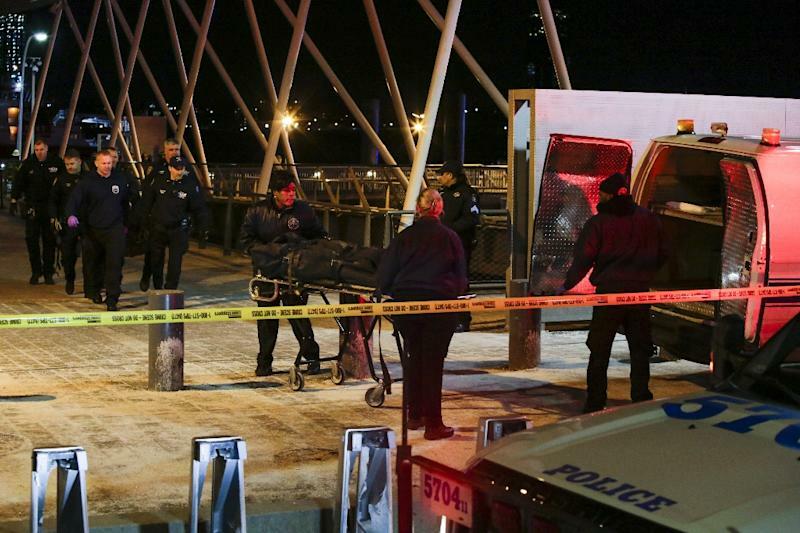 New York (AFP) - At least two people died late Sunday when the helicopter they were riding in crashed into Manhattan's East River, officials said. 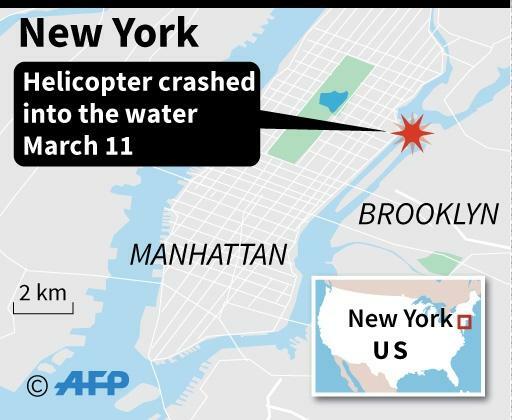 The red chopper, owned by tourism group Liberty and carrying six people including the pilot, fell into the river near the upscale Upper East Side neighborhood around 90th Street shortly after 7:00 pm (2300 GMT) at the end of a sunny day. "The pilot freed himself, the other five did not," Fire Commissioner Daniel Nigro told reporters during a brief press conference. "We are told the five people were all tied tightly in harnesses that had to be cut and removed." Divers rushed to the scene and freed the passengers, two of whom were pronounced dead, amid strong currents and frigid temperatures, Nigro added. The other three were taken to hospital in critical condition. Liberty organizes aerial tours of America's financial capital. Police chief James O'Neill said the aircraft had been leased by photographers. New York 1 television, citing police sources, reported that five of the six people flying in the helicopter had died, with only the pilot surviving.